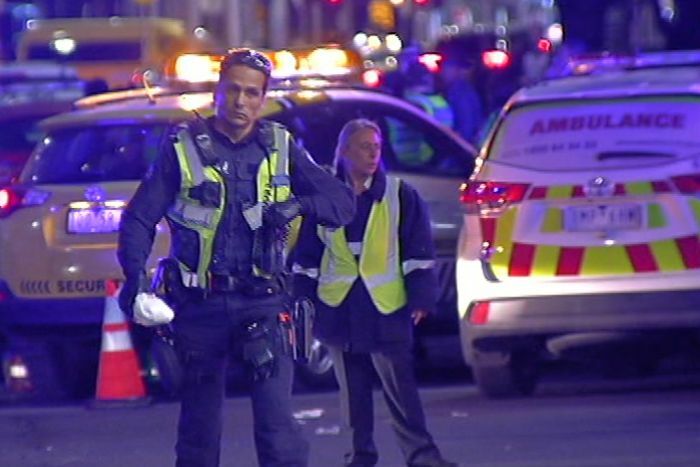 Three people have been taken to hospital and three men arrested following a brawl outside the Crown Casino complex early this morning. Police said up to 16 people were involved in the fight outside the complex at Whiteman Street, Southbank about 2:45am. Two men and a women in their 20s received non-life–threatening facial injuries and were taken to hospital in stable conditions. Three men — a 22-year-old and a 26-year-old from Deer Park and a 24-year-old from St Albans — were arrested at the scene. The trio was released pending further inquiries. Detectives are continuing to investigate the incident. Anyone with information is urged to contact Crime Stoppers on 1800 333 000.